no big dill: Fail Friday Guest Post! Happy, happy Friday! Can you believe it's already December 7th? So much sewing to do, so little time! Remember the Martha Stewart blooper when she drops a fully cooked turkey on the floor? Bloopers are the best. 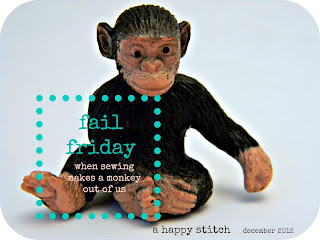 That's why I am loving the series "Fail Friday" over at A Happy Stitch. 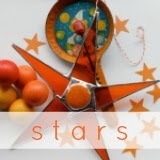 Blogs aren't all pretty pictures, sewing successes and perfectly coiffed children. Behind the scenes reveal less than ideal outcomes, mistakes, and downright failures. I'm sharing some bumps in the road on my path to Clover's "H" jacket over on A Happy Stitch today. Well, two of the major ones. There are always the minor ones of puckers and unpicking, you know. Go take a look and have a fantastic Friday! Wow, Katy, even your fails turn out awesome! Very impressive! The ribbon added so much and the box pleat was ingenious! ah, you are dear. it was such a joy to have you visiting over on my site!